The deadline for the submission of the application form is the 5th of June 2017, h. 12:00 CET. Admitted attendants will be contacted directly by email by the 16th of June 2017. Detailed information about the programme is available here. For attendants from new EU Member States (post 2004) and non OECD countries, no fee is applicable and accommodation is free. Attendants from other countries 150 Euro registration fee is applicable, but the accommodation is free. Moreover, in the case of curricula with similar score, also some attention is given to the selection of profiles with expertise in different sectors relevant to the domain of regulation of LPS (e.g. water cycle, waste, energy, …). 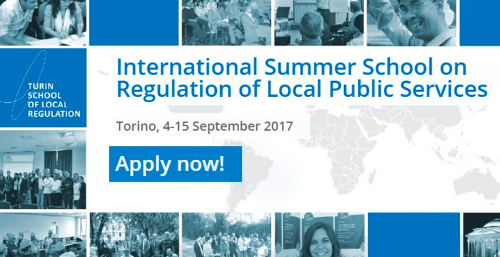 Application to the Turin International Summer School should be submitted online. All the information about Turin International Summer School Scholarships has been delivered nicely; talented students who are eager to pursue their Free Tuition/Scholarships/Study in Italy, can apply now.